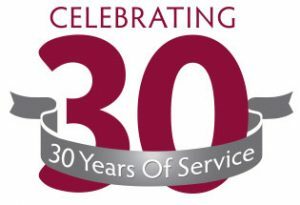 IIAM’s 30th anniversary is a time to reflect over past milestones and achievements, as well as a time to reaffirm our commitment to being partners in new, cutting-edge developments. In 1986, when IIAM began, very few types of transplants were successful and routine, and the value of medical research into non-transplantable organs for institutions and donor families was vastly underestimated. In these 30 years, along with our OPO and research partners — the two cogs that drive IIAM forward — we have helped change thousands of lives. In 2007, IIAM introduced semiannual Research Recovery Workshops, training surgical and perfusion technicians to optimally recover non-transplantable organs for medical research. These workshops are regularly attended by representatives of our OPO partners, who have seen the Centers for Medicare & Medicaid Services expand its benchmarks to include organs placed for medical research. OPOs now rely on IIAM’s research placements to meet their business needs along with their desire to fully honor the donors’ gifts. Through our Neonatal Donor Program, established in 2012, IIAM has been at the forefront of this trailblazing initiative, which is giving peace of mind to bereaved parents and opening new avenues of study for medical researchers. Please read the story on our efforts to create a Neonatal Steering Committee. More recently, our research partnerships have delved into the spectacular world of regenerative medicine and tissue engineering, where a recipient’s cells take the place of donor cells from a previously rejected organ — making the organ not only transplantable, but more likely to prevent rejection. Research on stem cells derived from donor skin can teach researchers how to reassign cells to create an organ, repair the cells that cannot heal on their own, and regenerate and replenish organs that are deteriorating. Thank you for your partnership and support. You make the difference!